Polish officials say Germany owes Poland up to $850 billion (743 billion euros) for the damage inflicted during World War II. Germany says Poland has no legal basis for the claims. Another key issue straining ties is Poland’s vocal opposition to Nord Stream 2, a German-Russian gas pipeline project that Warsaw says will give Russia excessive control in Europe, hurting Poland and Ukraine in particular. 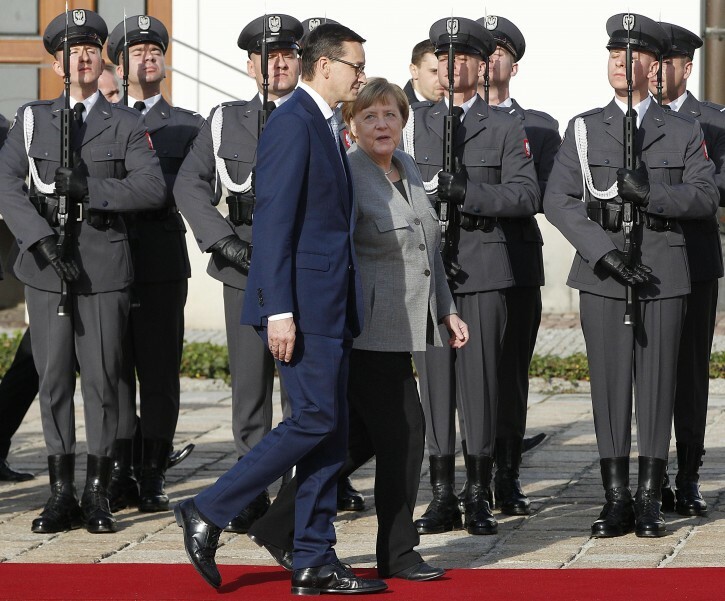 Berlin is also unhappy about changes by Morawiecki’s ruling Law and Justice party to Poland’s judicial system, which the European Union and others say erode judicial independence. The Polish government says it is reforming a corrupt and inefficient system. Merkel announced Monday that she plans to step down in December as leader of her party, the Christian Democratic Union, but remain chancellor until the next election, launching a transition that could last three years.